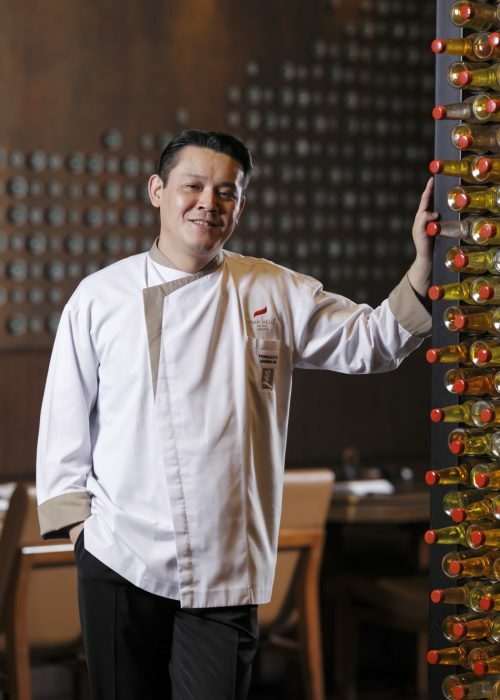 Japanese Chef of Yoshi Izakaya, Chef Tomoaki Ito, has joined Gran Meliá Jakarta prior to the opening of Yoshi Izakaya on 11 January 2011 and has shown a solid performance in leading this Japanese restaurant’s team to become one of the most sought-after authentic Izakaya in Jakarta. Following his graduation from Hatori Food and Nutrition College Japan in 1996, Ito worked in several prominent restaurants in Tokyo before embarking on travelling in Asia and worked in several Asian countries. Meeting with local guests at Yoshi Izakaya is not an issue for Ito. His eagerness in learning Bahasa Indonesia at the University of Indonesia has made him to become a fluent Bahasa speaker. His journey has given him extensive experience in crafting authentic Japanese cuisines while creating new dishes that suit local taste. “At Yoshi Izakaya, we always ensure to give the best quality and service to our guests. Guests can find all their favorite Japanese Cuisine available in here. Please enjoy the dinnertime with us,” explained Ito.